This 2014 fall season has some reasons for celebration in our eco design studio and eco home store. First must be the largest climate change march in history, centered in NYC and echoed around the world. In larger and larger numbers people are getting vocal about wanting politicians and business to face up to their responsibility for our global well-being. For someone who thought people would get the sustainability message in the 1970’s when I designed the second international Greenpeace poster, this march was a long time coming, but change is going to come. The second is more personal with publication in the Sept / Oct 2014 issue of y.a.m. Magazine of a healthy home renovation I designed and managed. The client has chemical sensitivity and he is a financial planner, fully committed to sustainability. 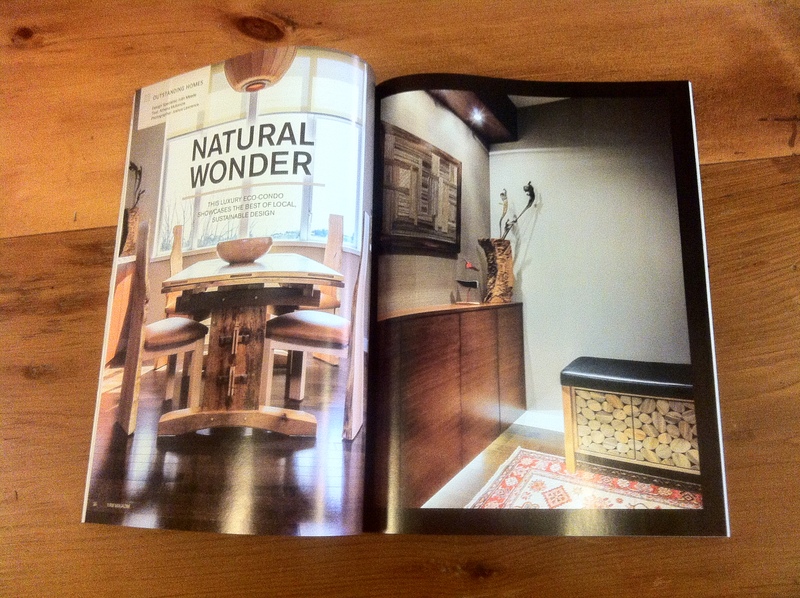 All of the furniture was locally made from couches to tables, dining chairs, beds and desks. We removed toxic materials like petrochemical based carpets and installed cork floors and refinished throughout with Farrow and Ball paint. We were able to control the selection and provenance of all materials and finishes and were therefore able to create a healthy and beautiful living environment. Next we go big with the opening of Mystic Market at the University Centre, UVic where my largest recent interior design project at $4.5 million was built not just with a sustainablity mandate, which is now commonplace in educational facilities but we also had a mandate to be the best university food service facility in Canada and to achieve that while also being local and eco. Talk my language, in fact that’s why our group was hired because with things like my board position on Think Local First, Victoria, and my longstanding eco design portfolio ( I designed the first ‘green;’ building on campus , The Student Union Building, over 25 years ago) we do think eco and and we do act local. 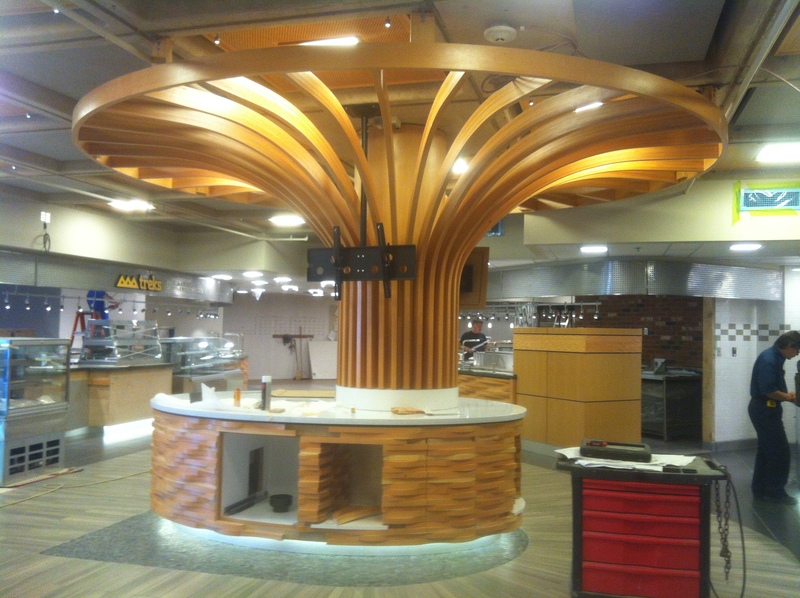 Check out what has been called “redefining campus dining”. We can have a smaller footprint and through well applied design and smart choices, we can have a better life. It’s how I live and work downtown in an alley with my partner and it is now one of my neighbours in Chinatown is doing the same at Dragon Zen in the next alley over from ours. We often meet at the yoga studio or in a cafe, both on the same block where I live.